In addition to the report of the Devolution Commission, Scottish Labour published a policy vision at its conference, 'Together We Can'. 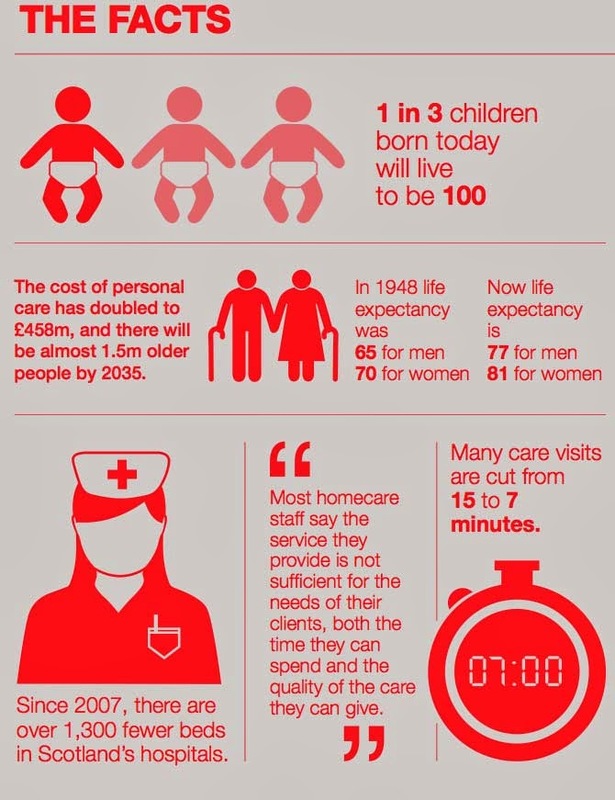 The care section sets out the challenges facing Scotland as summarised in this info graphic. While the paper makes a number of commitments on the care workforce, waiting lists, bedroom tax and no privatisation, the big idea is a review of the health and care system 'Beveridge 21'. As the paper says: "Just as the first Beveridge Report focused on tackling the five big problems of the time, described as “want, disease, squalor, ignorance and idleness’, so Beveridge 21 will examine the root causes of health inequality, not just the symptoms". Again these commitments are summarised in this info graphic. 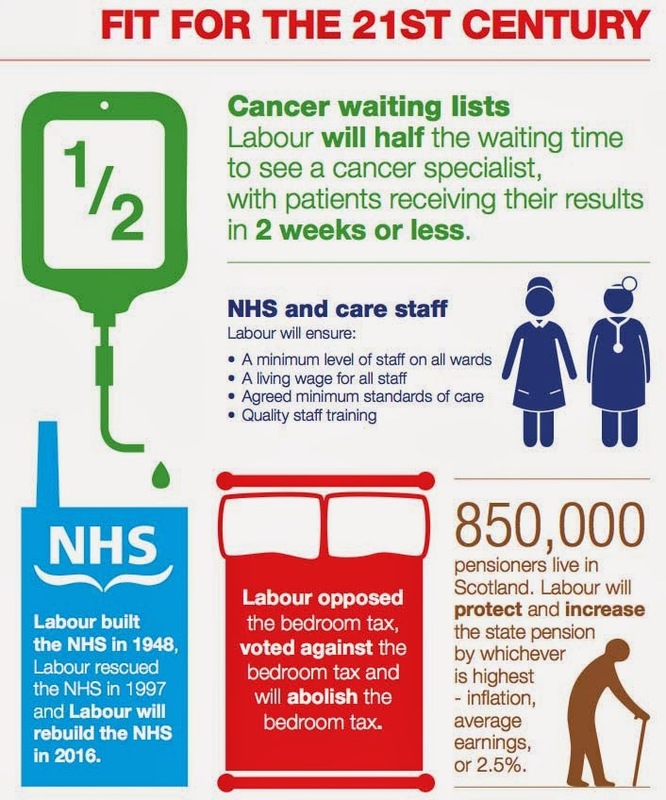 The Shadow Health Secretary, Neil Findlay MSP has established two Commissions. One to look at health inequalities, chaired by our own Dr David Conway - and another to look at social care. The focus is not on further analysis, but rather on solutions. Scottish Labour's policy process for the 2016 manifesto is now underway. This paper is a good start on the journey towards a radical manifesto to develop a health and care system that is fit for the 21st Century.